Learn About The 12 Signs and Planets! Learn How To Use Beginner Astrology, To Solve Problems! If you were born on an "overlap day", email me to find out what your sign is. I may need your time of birth. Or not, it depends. 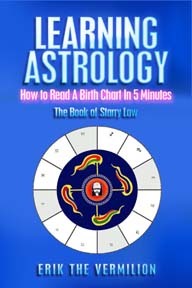 -- How to Read A Birth Chart in 5 Minutes!